The struggle to access training has been a long-running concern for nurses who work in care homes. 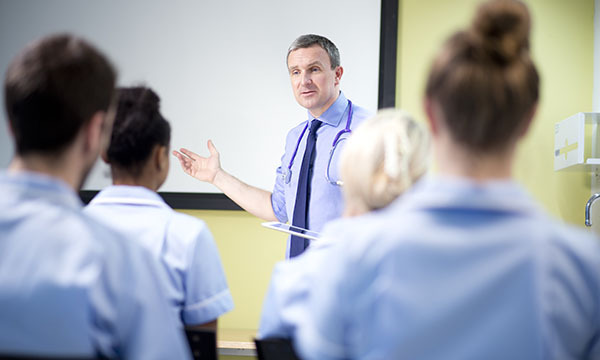 But help is at hand with the Department of Health opening up access to free CPD for care home staff. New research published this month in the Age and Ageing journal – involving more than 350 care home nurses, managers, community healthcare professionals and nurse educators – has identified areas of priority for CPD. Top of the list was personal care, dementia care and managing long-term conditions. Tissue viability, end of life care, falls prevention, medicine management and clinical skills, such as venepuncture, were also highlighted. But where should nurses, who described feeling isolated in the research, turn for CPD? RCN professional lead for older people and dementia care Dawne Garrett said she urges nurses in care homes to reach out to each other for support. The RCN has an Older People's Forum that celebrates and shares best practice, and the new system of revalidation from the Nursing and Midwifery Council means nurses will have to seek reflective discussion with another nurse at least every 3 years. ‘There is much more to CPD than just learning something – it is about putting it into practice, reflecting on how it went and receiving clinical supervision,’ says Ms Garrett. Help will soon be at hand for care home nurses thanks to work from the Department of Health, which is opening up the access to free CPD already enjoyed by NHS staff. Department of Health professional officer for nursing, midwifery and care Jean Christensen, says all content on Health Education England's e-Learning for Healthcare (e-LFH) site will be available to relevant staff in care homes, including those in the independent sector. Access in care homes is currently being piloted, and is expected to be available to all care homes in England from October. The award-winning e-LFH site has a wide range of programmes for nurses, doctors and other staff, using images, video, audio and animation to help trainees learn and retain knowledge. ‘The programmes cover subjects from communicating with empathy, dementia, end of life care and safeguarding adults in the safe use of insulin and statutory and mandatory training,’ says Dr Christensen. Erin Dean is a freelance health writer.